One of the best gaming phones of 2018, the Asus ROG Phone, is still waiting for the Android 9.0 Pie update but it appears that the wait won’t be that long. A Geekbench listing has been spotted in which the smartphone is running Google’s latest and greatest. The model number of the handset ASUS_Z01QD checks out as well as the benchmark scores and the hardware. 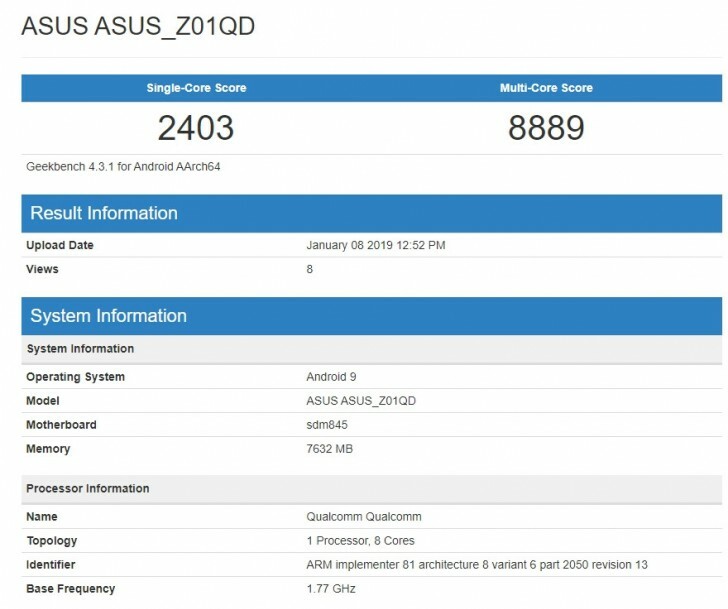 The OS shown in the score sheet is Android 9.0 Pie, which could mean that Asus is almost done with the development. However, the company didn’t give any time frame so we can only hope that it won’t be long before it hits the Asus ROG Phone.